Well, y'all I did it...I cut my hair..over 10 inches actually. I had been debating doing this for a while. Don't get me wrong, I LOVED my long hair, the style possibilities were endless but ultimately my hair was one way..long and straight. I had pinned a bazillion options on pinterest but finally ended up deciding on a "collar bone" length with a few choppy layers and highlights for summer! I absolutely love my new style and cut..I'm still experimenting with it and getting use to it! The before and after..
Ahhh I LOVE it!!! It looks so good, girl! omg I never realized how long your hair was! I think my hair is like two inches longer than your new hair. I love the layers in the front! OMG i LOVEEEE IT!!! it looks so cute!!! not to mention that the volume your hair has is amazing!! You look fabulous!! and your outfit is great!! I love this cut so much better on you! Gorgeous! Looks so good! I love the layers! WOW it was LOOOOONG! 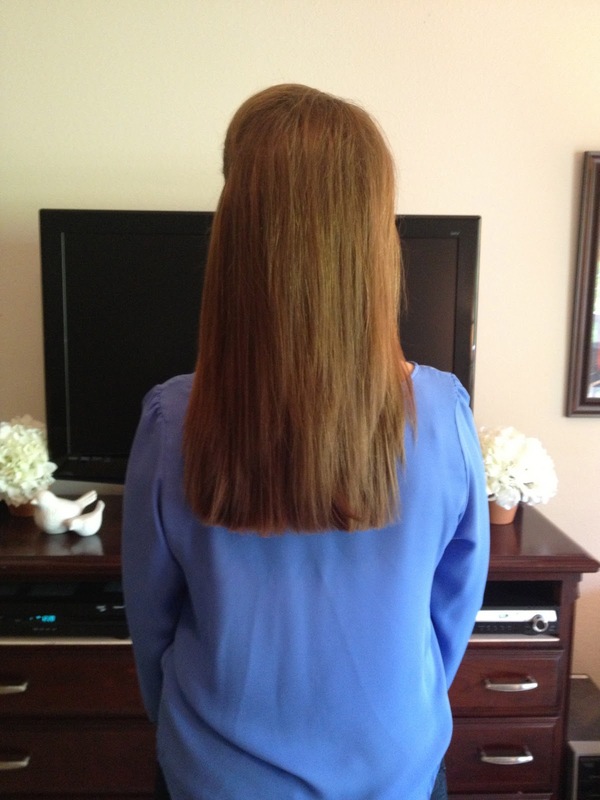 It looks fabulous this shorter length though and it's still pretty long! Oh, it looks SOO good!! it looks so pretty, love the change! it's longer than my locks, but you definitely cut off A LOT!! and it looks amazing!! such a good length for you :) too cutie. You look fantastic! Cutting hair is such a big deal to me too so I can completely appreciate it. Rock it out doll! Love your new hair, Sarah! it looks gorgeous darling! you have SO MUCH of it, my whole head of little baby hair is like 1/8 of your hair haha! rock it girl. I never realized how long your hair was before! Now it makes sense how you were able to do those crazy full buns! Your new cut looks so fresh and healthy! Love the length! Your haircut looks amazing! 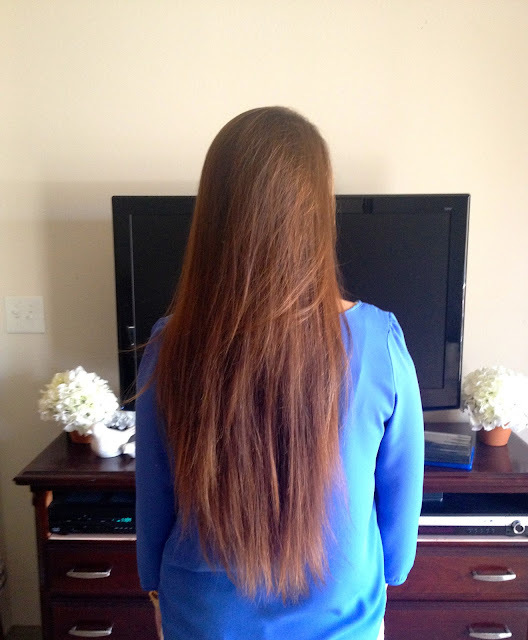 I have super longgg hair and I've been thinking about cutting it. If I do, I'm taking this picture to my stylist!